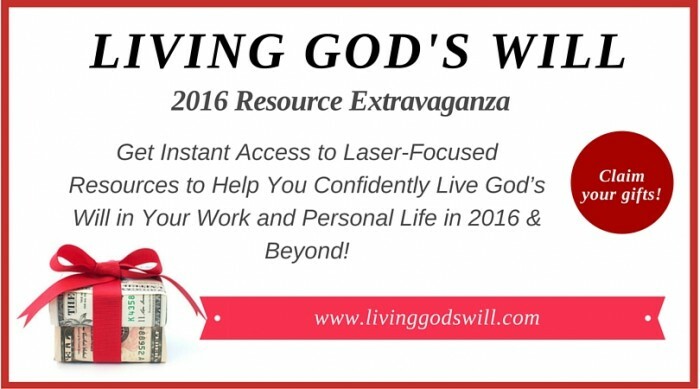 Living God’s Will 2016 Mega Giveaway: Jan. 12-18 Only! 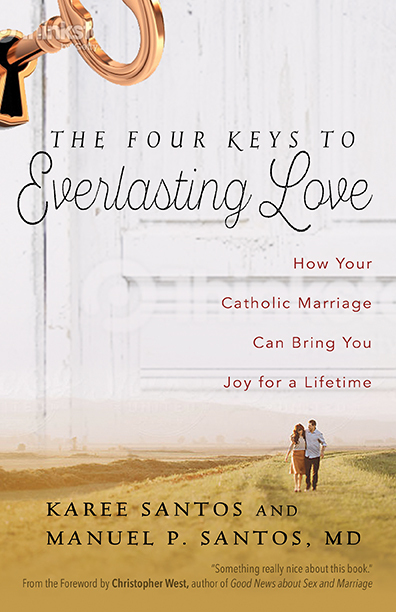 My husband and I have teamed up with Catholic personalities like parenting expert Dr. Ray Guarendi and chastity speaker Jason Evert in a mega giveaway for this week only. I just ordered my free copies of Dr. Ray’s book When Faith Causes Family Friction and Jason Evert’s St. John Paul the Great: His Five Loves. I would have paid good money for these books! 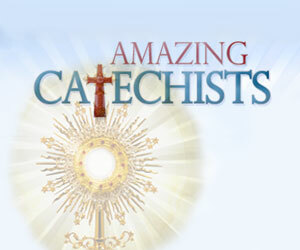 What catechist can resist the appeal of high-quality free Catholic materials? Already know you want in? Trying to make all the puzzle pieces fit together in your life can be quite overwhelming. We can totally relate to the longing to please God, but not always being 100% confident we are on track in every area. Frustrated with seeming to excel in doing God’s will in one area, but recognizing you’re falling down in another…Worried you might not be covering all of the bases in the unique life mission God has for you…Tired of spending more time in discouragement, confusion, and being TOO busy (Satan’s acronym for B-ound, U-under, S-atan’s, Y-oke), than in living in the present moment with those you love and all God has created, basking in gratitude over the God’s great abundance in your life. We are all in the same boat — but with help and support of mentors willing to share their genius there’s no need to recreate the wheel on how to flourish. The more good people out there who are empowered to share their unique gifts and talents with the world, in service to others to build Christ’s kingdom…the better off the entire world will be! So accept these great resources. They’re helpful and free! The giveaway starts Tuesday, January 12, and it will last until Monday, January 18. To claim your gifts, just visit www.livinggodswill.com. Get the help and support you need for yourself and others to effectively live Christ-centered lives! The Four Keys to Everlasting Love: COVER REVEAL! 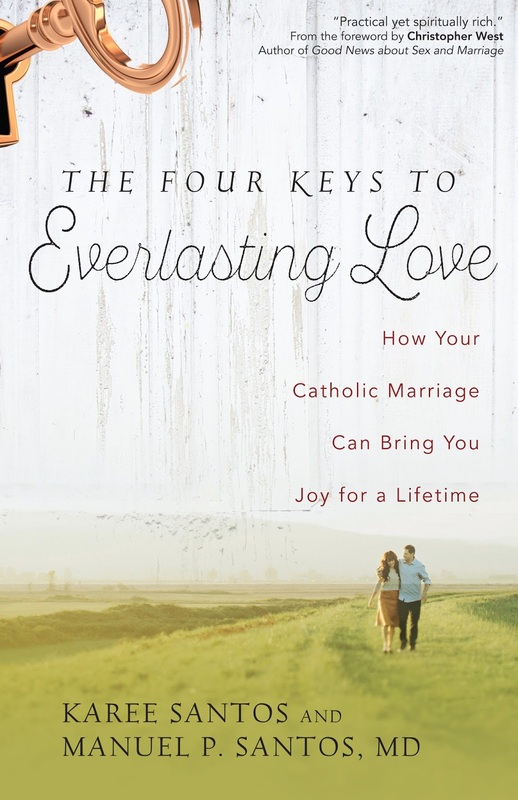 The thrill-ride of book publishing continues as we hit our next milestone: the cover of our new book, The Four Keys to Everlasting Love: How Your Catholic Marriage Can Bring You Joy for a Lifetime!!! 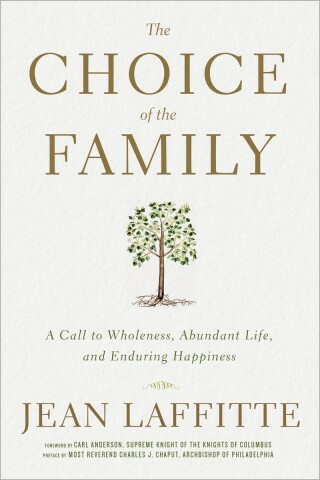 This Catholic marriage help book is already available for pre-order at Amazon.com (what a dream come true). Our editor called publisher Ave Maria Press’ art department their “secret weapon” because of how great they are at developing attractive cover art, so we were overjoyed to work with them. Like everything else in publishing, coming up with a great cover is a long process. First, they asked us for ideas. We were super-excited about the key motif, so dear hubby Manny sketched this. Our publisher ran the idea past some focus groups and decided that the cover also needed to showcase the idea of marriage as a shared journey. So they combined both ideas in this stunning version. But, because I’m a lawyer, I have to tinker with everything. My sister-in-law Nancy described quite well the difference between working for most people — who say “great!! !” — and lawyers, who say “great! Now change this, fix that, improve the other thing….” I asked the art department to make the grass a little greener, because doesn’t everyone want that? And I asked them to make our foreword writer Christopher West‘s name a little bigger, because we are Very, Very Excited that he is supporting our Catholic marriage advice book. (His Facebook page just exceeded 50,000 likes, which is pretty major. Plus, he’s awesome.) So, the art department, gave us this, our final cover!!! Don’t you just love it? Please, please, tell all your friends and help spread the word. In other news, our awesome book editor Heidi Hess Saxton left to become the Editorial Director at Servant Books/Franciscan Media. Our book project is now being shepherded by Ave Maria Press’ current Editorial Director Bob Hamma. We are honored to have worked with two people of such high caliber. And after Heidi left Ave Maria Press, CatholicMom founder Lisa Hendey joined them as editor-at-large. What a small world! Just in time for this month’s World Meeting of Families in Philadelphia, Image Books has released a book-length interview of Bishop Jean Laffitte, the current secretary of the Pontifical Council for the Family. It’s the Council’s task to organize the World Meeting of Families every three years. This year is the first time it will be held in the United States. 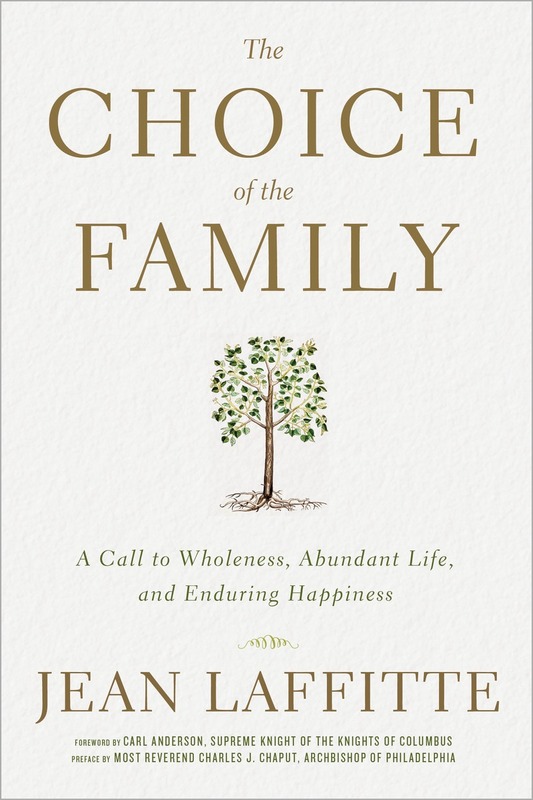 The book highlights the richness of family life well-lived, as hinted at by its title, The Choice of the Family: A Call to Wholeness, Abundant Life, and Enduring Happiness. In its format, it resembles previous best-selling full-length interviews of Pope Emeritus Benedict XVI, including Light of the World and others. 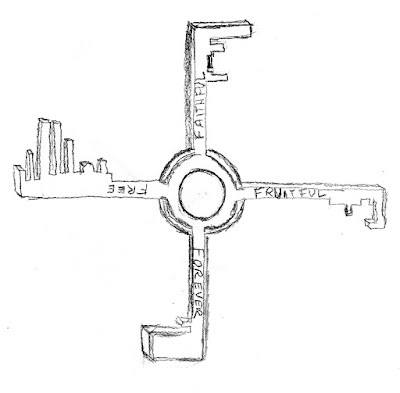 Bishop Laffitte touches on all the hot-button issues of cohabitation, sexuality, adultery, divorce and remarriage, and the right of the Church to make its voice heard in the public square. 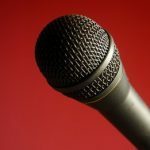 But he also offers advice, rich with years of experience, about fostering a love of God in individuals, engaged couples, families, and young children. The key to opening people’s hearts is that “the priest must have an interest in their happiness,” says Bishop Laffitte. Marriage preparation has an essential role to play in forming strong families, and the bishop provides helpful insights to priests and anyone else involved in this ministry. Fully aware of the challenges, he is not a man with his head stuck in the clouds. “Many people demand the sacrament of marriage from the Church while totally misunderstanding what the sacrament signifies. …We need to be aware,” he cautions. We must reawaken the desire and the hope for permanence and indissolubility that “is demanded by the nature of love,” he adds. When we give love as a gift, we give it totally and forever. Anything less is merely a loan, unworthy of the name of love. Despite the importance of this type of common sense advice, marriage preparation operates on more than a psychological or social level — it must be a spiritual event, according to the bishop. If a marriage minister does not “introduce the engaged couple into an experience of prayer, I do not know where they are headed! I find it insane that people are prepared over the course of months for the sacrament of marriage and … nobody invites them to pray,” he says.